Derek Recognized the Cars As Modified Willys Aero Sedans Almost Immediately. The Willys Front Grille Had Been Replaced With a Grill That Looks More European in Design. There’s nothing better in this world than making new friends – and that’s exactly what happened when good friend Glenn Brummer sent in a link to a fabulous website run by Derek Redmond that included great information about the movie Johnny Dark. For Derek to be so interested in a facet of this movie must be a good sign. Watch out Derek….I bet a new friend (or crazy research professor) is heading your way! 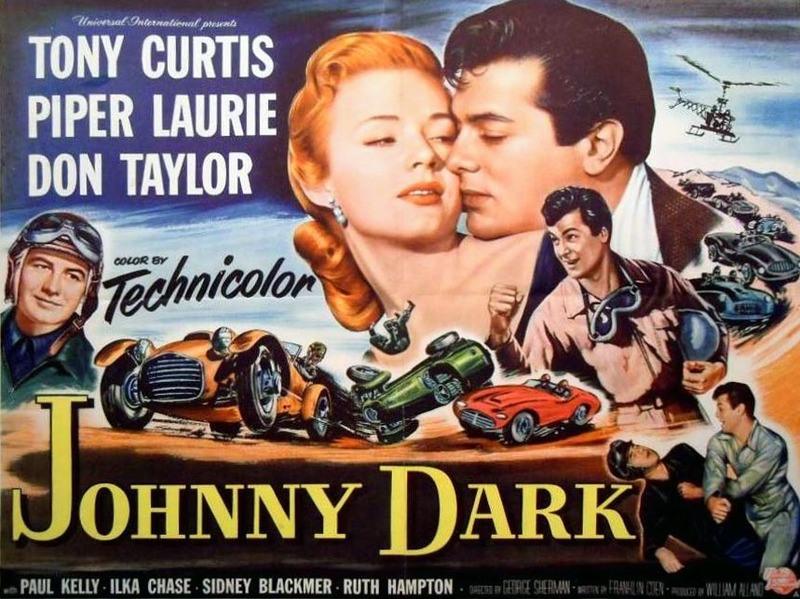 From time to time, those of you who are Johnny Dark aficionados have asked about the beginning scenes showing “mysterious” cars on a proving track of some sort. 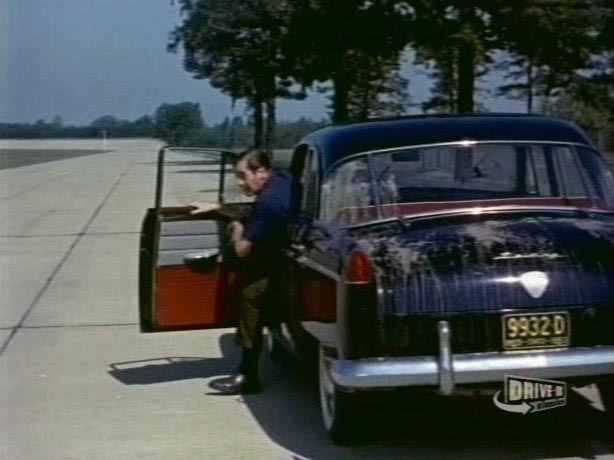 In one of the last stories I wrote concerning Johnny Dark, I shared with you the confirmation that the initial scenes of the movie were shot at Packard Motor Car’s famous oval testing track in Detroit – as well as Packard’s 2.5 mile proving grounds. Click here to read more about this story. 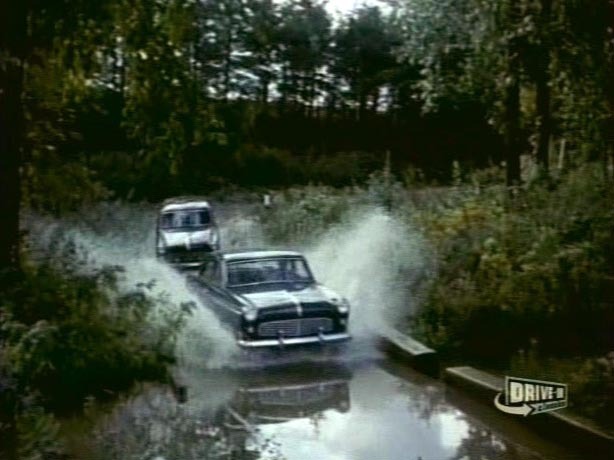 With great clarity and focus, Derek looked at the initial cars used in the “Proving Grounds” scenes and explored what they were and how they had been modified. But instead of letting me go into detail, let’s allow Derek to tell the story. 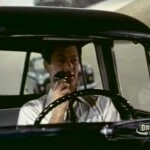 Off we go gang….I pass the torch to Derek and his story about the true background of the “Fielding” cars in Johnny Dark. 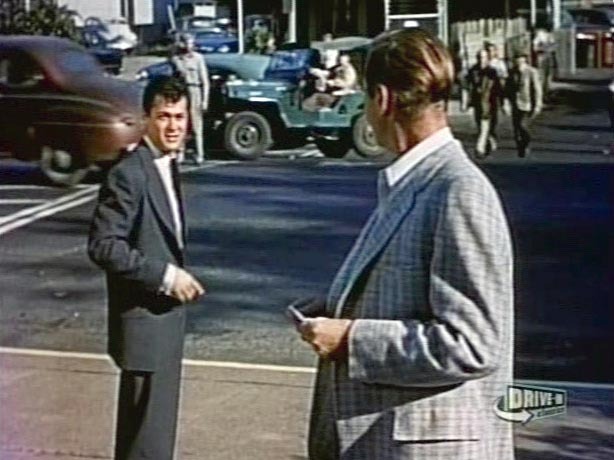 Here’s A Scene Where Johnny (Tony Curtis) and Duke (Don Taylor) Tests The Fielding Cars on the Packard Proving Ground Track. 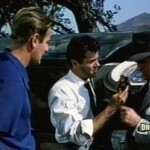 I heard years ago that there was a Jeep CJ-3B in Johnny Dark, the legendary 1954 film about sports car racing. This sounded very promising, but since the film is not in release on home video, it took me a long time to get my hands on a copy. As it turns out, the CJ-3B appearance is very brief, but there is another surprise of interest to Willys fans. 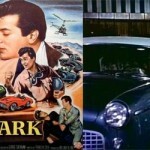 The plot follows automotive design engineer Johnny Dark (Tony Curtis), who builds a prototype of a new sports car for his employer, Fielding Motors. 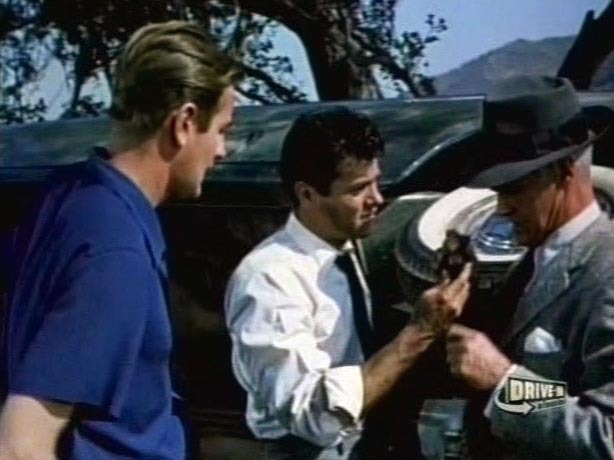 When the owner refuses to sponsor the car in a Canada to Mexico road race, Johnny steals the car with the aid of the owner’s granddaughter Liz Fielding (Piper Laurie), and runs the race against the favored driver, his ex-buddy Duke Benson (Don Taylor). 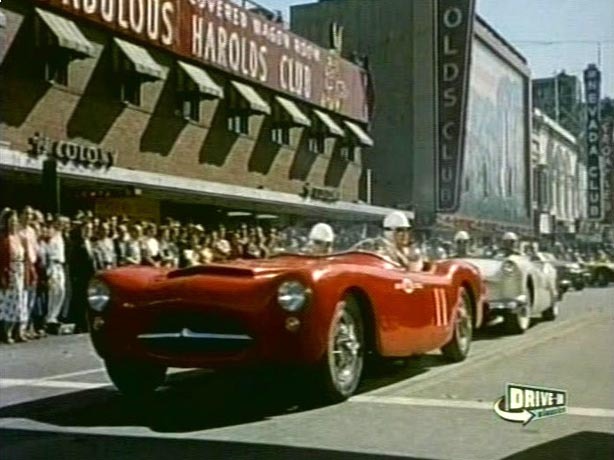 The film is legendary for the road race which makes up the second half of the film, including some exciting driving sequences and a number of rare early American sports cars. 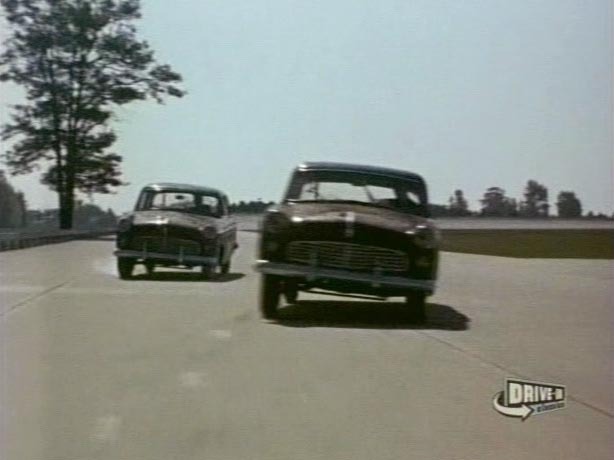 But the surprise for Willys fans is the opening sequence of the film, which shows two “Fielding Motors” sedans out on the test track. They look vaguely familiar and we soon realize that they are in fact Aero Willys sedans. The Willys front grilles consisting of a single chrome bar and a large “W” have been replaced with a series of horizontal slots, which at first make the cars look vaguely European, something like a 1953 UK Ford Consul. A chrome strip has also been added to the centerline of the hood. 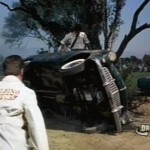 During One Scene in Johnny Dark, A Mechanical Failure Leads to A “Fielding” Car Rolling Over On Its Side. The Aero Willys was probably chosen to be the Fielding in the movie because it had only been around for a year, and was less familiar than many other automobiles might have been to audiences. Also perhaps because the sports car chosen to play the Fielding prototype (see below) actually had Aero taillights. The two examples in the opening scene appear to be painted Raven Black and Woodstock Green. 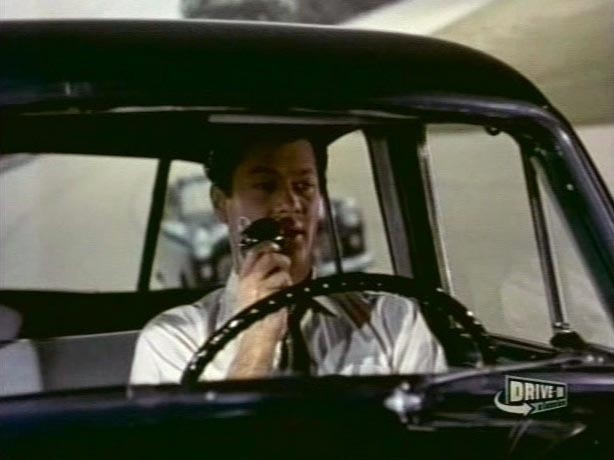 Johnny and Duke are testing the steering on the Fieldings, and Johnny talks to his boss on the 2-way radio while driving. Soon after, he swerves and runs off the track. 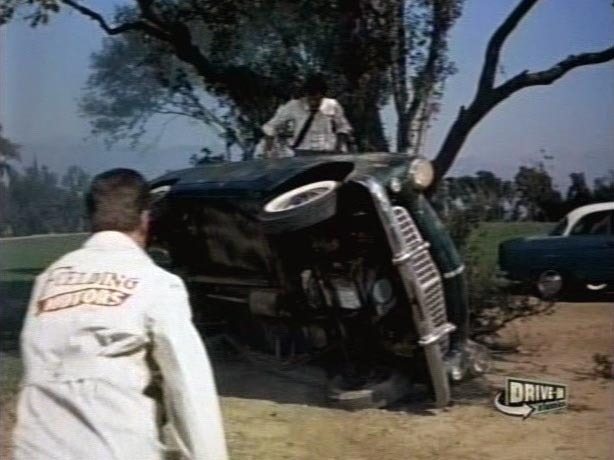 When the mechanics rush over to the crash site, we find the car on its side and Johnny climbing out. A quick look at the underside and he finds the problem: “The Pitman arm — a clean break!” What’s really unusual though, is that the grille now has vertical slots. As Duke gets out of his car, we get a good view of the rear of the Aero rebranded as a Fielding. The car’s four doors and wraparound rear window mark it as a Hurricane 6 powered Aero-Ace. The 1953 Ohio license plate makes me wonder — was some of this shot at the Willys test track in Toledo? I have seen a report at imcdb.org that the track is the Packard Proving Grounds in Utica, MI. Possibly the same car seen in the background of the shot above, this Admiral Blue 2-door Aero driven later in the movie by Liz Fielding, looks like a top-of-the-line Aero-Eagle. It’s been given yet another variation of the Fielding grille, with a crosshatch pattern. 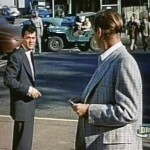 When Johnny and Duke chat briefly outside the Fielding plant at quitting time, I spotted the CJ-3B in the background. It’s hardly noticeable, and seems coincidental rather than an intentional product placement for the new 1953 Jeep. 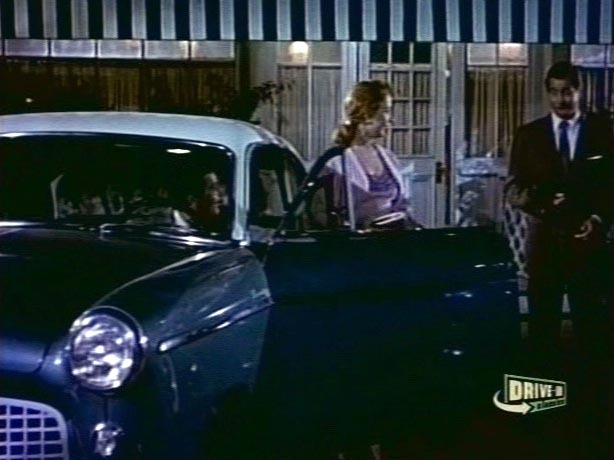 Derek Notes In His Story That The Car Next To Liz Fielding (Piper Laurie) Looks Like a Top-Of-The-Line Aero Eagle – With Another Variation of a Grille. After years of waiting, this brief appearance was a bit disappointing for me, but the CJ-3B’s siblings the Aeros made up for it. 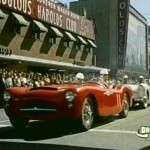 And of course the sports cars which appear later in the film. Johnny’s car is dubbed the “Idaho Special” but is played by the Willys-powered Woodill Wildfire, a very limited-production fiberglass sports car handbuilt in Los Angeles from 1952 to 1956. 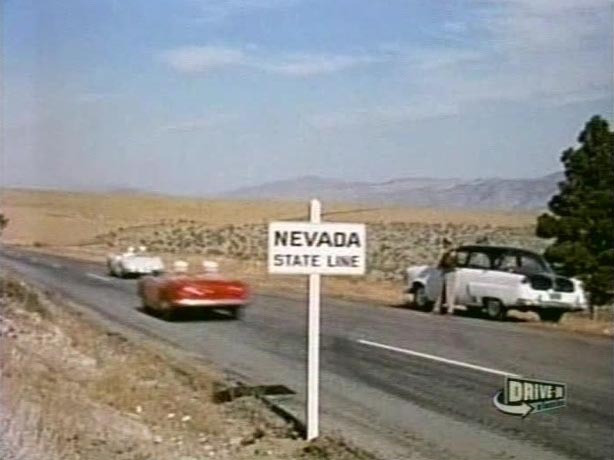 It’s seen here in Reno, Nevada, one of the overnight stops in the road race. 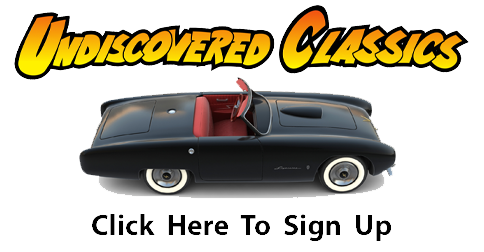 The Forgotten Fiberglass website has lots of information on this car and a number of others used in the film. There’s also a video trailer, and background on the shooting of the race scenes. 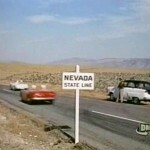 The cars involved make this film a unique historical document. Note to Universal Studios: please make Johnny Dark available.